The Mike Stewart website consists of over 2700 pages of listings, news, resources and information about Vancouver BC Lower Mainland Real Estate. Here is the comprehensive guide to the sections in this popular website. Large Balcony Suite at the Stylish Sonesta at 1989 Dunbar Street in Kitsilano! Spectactular View from Aquarius III One Bedroom Suite in Downtown Vancouver Overlooking Marina and the Roundhouse. City Views and North East Exposure in 1 Bedroom + Den at the Sea Star. Walk to English Bay, Sunset Beach, Seawall, Aquatic Centre, Shopping, Dining and Entertainment. Point Grey Penthouse – Bright and Spacious, High End Appliances, Hardwood Flooring, Gas Fire Place. Walk to the Beach from The Bosa in Kitsilano, Top Floor, 2 Bedrooms, 2 Bathrooms + Den and balcony. Unobstructed South East Views of False Creek and David Lam Park. Panoramic Ocean View at the Elan in this 1 Bedroom + Den 2ith 60SqFt of Patio Space. Water and City Views from this 1 Bedroom Western Exposure Suite at The Ginger, Main West, Downtown Vancouver. Mountain View from the Patio/Balcony in this 2 Bedroom + Den at the MACK. City and Mountain Views: 2 Bedroom 2 Storey Penthouse at The Bosa, Downtown Vancouver. Views of Private Garden in this One Bedroom at the New Concord SMART Building in Gastown. Loft Style Living in this 2 Bedroom + 2 Bath Condo at Terminus in Gastown. Enjoy Loads of Storage and a Custom Kitchen with Modern Appliances and Details. One Bedroom + Den, Corner Suite at the Max by Concord Pacific. Western Exposure and Floor to Ceiling Windows on Either Side of Main Living Space Provide an Open and Spacious Feel with Lots of Natural Light. Courtyard and City Views. Southern Exposure City Views in this Brand New 2009 1 Bedroom + Den Condo in the new Woodward’s Building in Gastown, Downtown Vancouver. Open Plan with Floor to Ceiling Windows. Enjoy Gastown, Shopping, Dining and Great Amenitites at the Rooftop Club W.
Brand New 1 Bedroom + Den in the Woodward’s Building with Southern Exposure City Views. Mount Pleasant, Vancouver East’s Best Value! 2nd floor of boutique 9-storey building + built by award winning Onni Group. Different layouts & sizes available. Open and Bright 1 Bedroom with Floor to Ceiling Windows at The Pointe in Coal Harbour. Close to Seawall, Urban Fare and Robson Street. 2 Bedroom + Den/Storage in Governor’s Tower, Overlooking Yaletown’s Heritage Buildings. An Amazing Space with a Private Garden Patio, a Great Floor Plan and Stainless Appliances. Move in Now! Enjoy a bright eastern exposure in this spacious full sized one bedroom at Downtown Vancouver’s Anchor Point! HUGE PATIO at this spacious 2 bedroom 2 bathroom home at 819 Hamilton! Spacious 1bdrm at the Stylish Yorkville! Park Views on Commercial Drive! South facing one bedroom suite at Hycroft Towers-one of Vancouver’s modernist landmarks! Bright & Airy 2 Bdrm, 2 Bath + Den Corner Suite at The Freesia! NEW LOW PRICE!!! Warm & Bright, SW Exposure 1 Bdrm + Den Suite with Direct False Creek Water Views at the Firenze! Spacious Open Plan 1 Bdrm + Den with Mountain Views at the UNO! Amazing & Bright View Home, 30th Floor 1 Bdrm + Den at the Stylish Spectrum! Great Value, Close to Yaletown, 1 Bdrm at the new Raffles on Robson! Enormous Garden Patio, 2 Bdrm Suite in Stylish Kitsilano! Amazing Mountain Views from the Large Rooftop Deck in Kits! Spectacular Value on Yaletown’s Marinaside Crescent! The Urba! – 1110 – 5380 Oben Street, The Urba, Collingwood, East Vancouver. Gorgeous Mountain View Home with Gas Fireplace at The 501 in Yaletown! Studio Penthouse at Concord Pacific’s TV Towers! 137 Alexander Street – 3 bedroom, 2 Bath, 5 Level Gastown Townhouse with a Rooftop Deck and its own Parking Garage! Beautifully Updated 2 Bedroom/2Bath Townhouse on West Broadway in Kitsilano’s Trafalgar Mews. Close to Beach, Great Dining, Shopping and Schools. Great Townhouse at the Brix on Commercial Street! Lovely Spacious Townhouse at Duke on Dunbar with Two Parking! Vancouver First Time Home Buyers Guide Episode 5: Comparative Market Analysis for Buyers – What’s your Dream Home Worth? Subject Free Offers in Real Estate – Strong & Effective, but SCARY in the Wrong Hands! I think Inflation may Kick Off in 2-3 Years and This is what I’m Doing to Prepare. Will Inflation make a Comeback and How Will it Affect Vancouver Real Estate? How To Sell A Vancouver Condo # 7 | Preparing for Listing | What to Avoid! How to Sell A Vancouver Condo # 3 | How Much is my Property Worth? Sellers of Vancouver Real Estate Should Watch This Video! BCREA Predicts Vancouver Market Rebound to Last into 2014? General content about the Mike Stewart Network! Help For Home Sellers in Vancouver BC & the Lower Mainland! 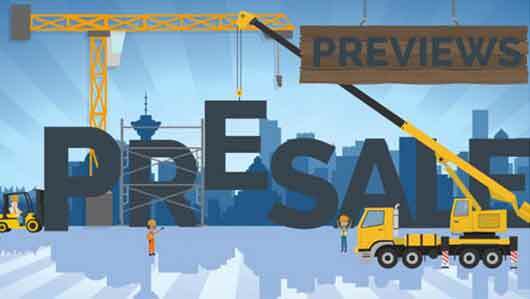 Looking for New and Presale Condos in Vancouver? Sell Your Home with Mike Stewart!